Where to Buy Pro-Pest High Pressure Spray Gun, Pro-Pest High Pressure Spray Gun Generic Hudson GES505 - $69.95 for Sale with Fast Free Shipping! 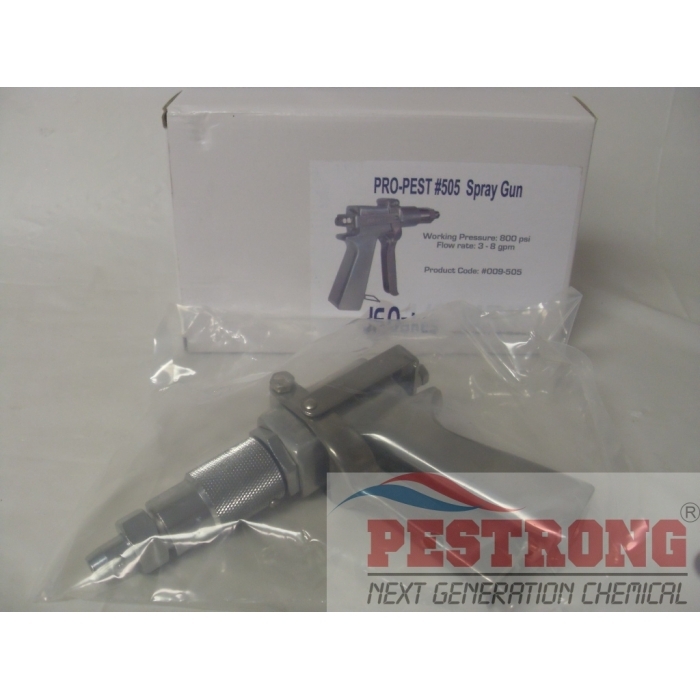 Pro-Pest High Pressure Spray Gun Generic Hudson GES505 is a high pressure spray gun adjustable from fine mist to long distance stream. The maximum PSI is 800 for this spray gun. This has a easy to use trigger lock for continuous spraying and has a drip-free shut-off. I used to own a Hudson GES505 a long time ago. I used it for a long time and for a lot of spray applications. It sadly broke down and was irreparable. I found this and decided to give it a try. I didn't want to shell out the money for another Hudson so I went with this generic version. I have been using this for 2 months now and it seems to have the same quality as the Hudson. I really like the purchase that I made.